To many people ‘Big Data’ remains a dense, giant reservoir of random data points and numbers, but these seemingly random pieces of information are being combed over and extracted by heavy loaded super computers and some of the brightest minds of a generation (not to mention whatever super machines Google has built). 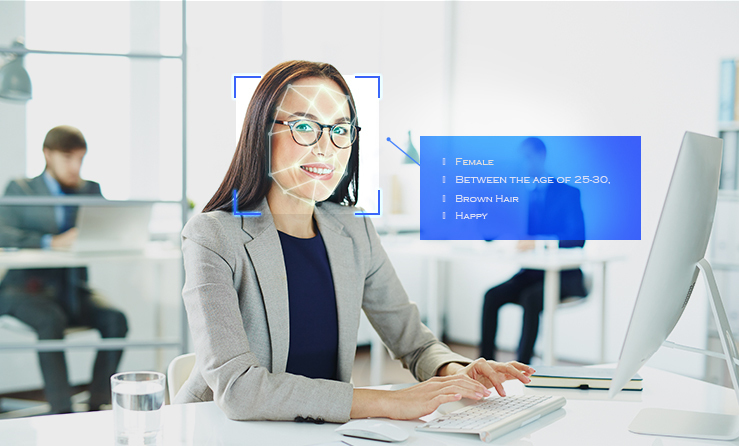 It is an exciting and somewhat intimidating world to live in today from the standpoint of big data and it is about to get a little bit more of both with advancements in facial recognition software and the rise of biometrical data. The idea behind making big data even bigger is that soon you can be identified as not just a number on the computer screen, but that your individual features will become the data points that all of your information will be associated with. Think of how ads on Google always seem to follow your website visiting history, well soon it won’t just be what you search, it will be your actual physical activities that can be stored and fed into algorithms to be used in however which way the owner of the collection machine wants. Buy a certain type of drink at the store or shopping for your favorite color dress, expect to be receiving tailored ads the next time you are making the same buying decisions. It can be very intimidating, but also a huge opportunity for marketers and businesses to capitalize on and understand how to effectively implement strategies in this fast moving field. So let’s take a little dive into the realm of biometrics and go over some of the basics. Facial identification works by utilizing advanced computer assisted machine learning algorithms that identify the features of a face and what make it unique. Using an image taken from the target the algorithm then separates the face from the image. 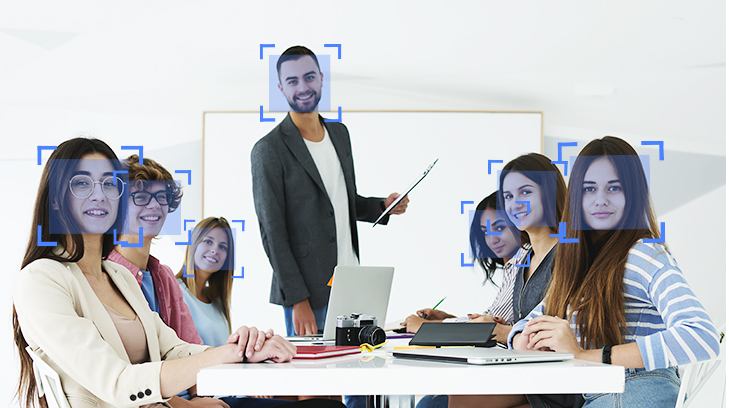 The software then orientates the facial picture to fit with the specification of its stored facial database; meaning that the mouth of an image must be in a similar position as those stored in the database. 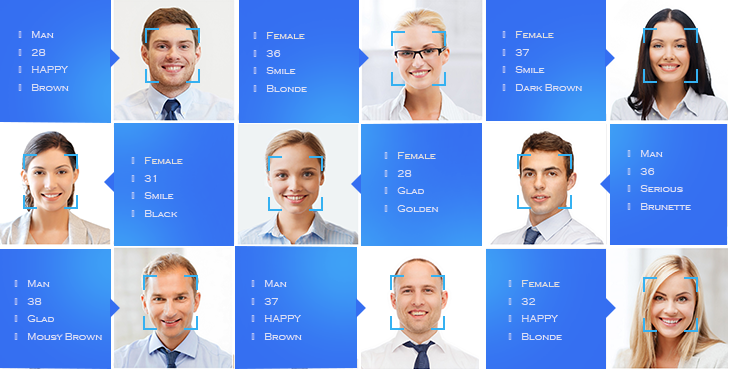 The software then creates a “faceprint” and begins to run the faceprint against its facial database to look for unique characteristics that separate one face from another. This includes things like shape of the eyes, nose, lips, and distance between the eyes. If the faceprint matches that of one in the software’s database, the faceprint is linked to the targeted person’s information in the database. All in all it takes an extremely powerful computer to run these programs instantly and error rates still remain relatively high compared to other biometrical data, like fingerprints or retinal scans, but with the creation of more powerful super computers and the ever present push for AI time and error rate will be steadily decreasing. Much can be said about the uses of big data and facial biometrics both good and frightening (turn on the US news or see this case from China), but one of the most interesting points from a business standpoint of biometrics is its use in collecting mass marketing data. This technology very well could change how marketers think when building campaigns. No longer will ads or content be a generic fit for all or targeted content on peoples’ search results, the ads of the future will be based on peoples’ real-life decisions on a day-to-day basis and will be displayed on numerous different display networks. Digital signage, the internet, taxi TVs, and ATMs will all be customized to display content that is tailor-made by utilizing an unbelievable amount of collected data of the person standing or sitting in front of the display. It will take large teams of marketers to create this content, but with improvements in machine learning marketing programs this team size will over time decrease. Let’s imagine a simple future example of a potential use of biometric marketing with something a lot of people do every day: go to a bank’s ATM. As you begin to approach the ATM you are already being captured. 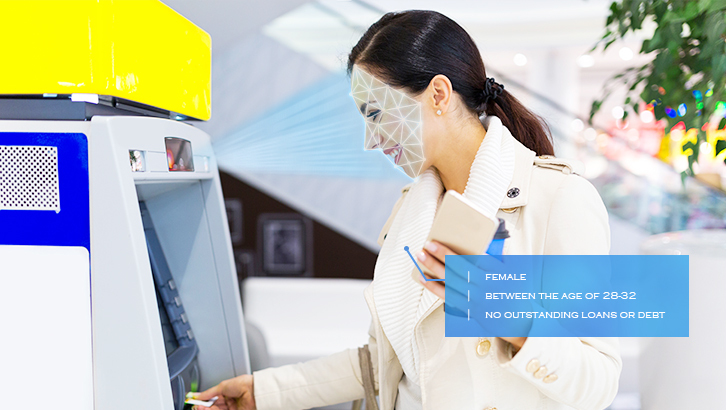 The built in camera above the screen has identified your gender, taken and matched your faceprint, and has run your name against the banks client database. The computer then runs your bank accounts looking for a potential opportunity to grab your interest. Say for this hypothetical experiment we are a classed as ‘female, between the age of 20-25, our financial background shows no outstanding loans or debt’. The computer then can run this information against “tags” similar to how ads online work. 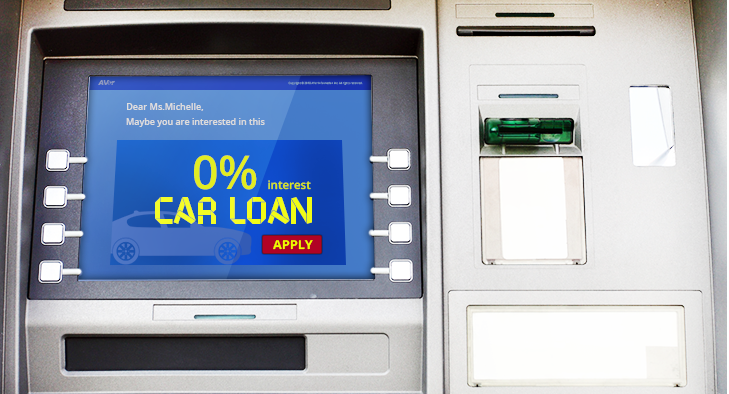 The system may decide that someone of this age and in this financial situation might want to invest in an automobile and would then begin displaying an ad for the banks newest automotive loan program with a 0% deductible or maybe it decides that the new savings program the bank has just implemented might be of interest, as you already have a savings account with little outgoing activity. A simple example, but it goes to show that biometric marketing is going to be a serious game changer in the coming years. Direct marketing has never been so direct. Biometric advertising and marketing may be just around the corner. Understanding the benefits and potential limitations in this new technology will be the key to implementing successful marketing strategies. So what do you think? Is this the path to a dystopian future or just the next big leap for marketers everywhere? Find the Cameras that Can Help You Start Biometric Marketing.